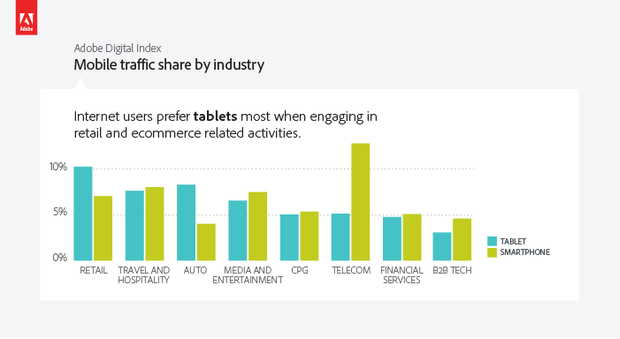 Tablets – Why Marketers need to move out of the “Tablet – a Fad” Perspective! For many of the marketers out there – there is not a great case for Tablets and Smartphones together. Most of them view tablets as a passing fad. This equation is perhaps complicated by the announcement of Phablets as a hybrid form and use factor! However, is Tablet really a fad? A recent report published by the Adobe Digital Index is an eye opener. 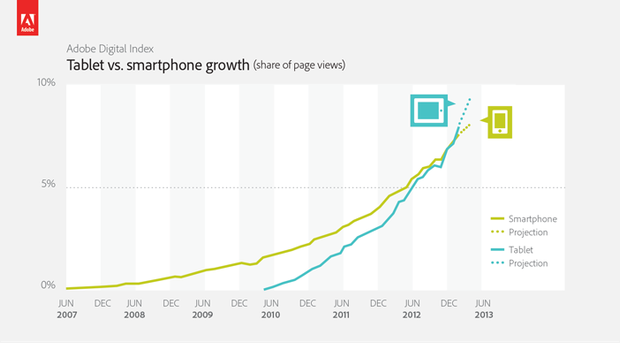 For February 2013, Tablets are attributed to be driving more traffic to websites than smartphones. The report is based on 100 billion visits to more than 1,000 websites worldwide over the last year – hence this isnt a fluke that you had blow over. Adobe attributes this shift in web browsing patterns primarily to the device’s form factor, which lends itself to leisurely (and more comfortable) browsing than smaller touch devices. 1. Frankly, with both WiFi Tablets and Entry-level Smartphones penetrating the $50 price point – the screen size is a big enabler for tablets. 2. As WiFi hotspot roll outs gather momentum – Tablets will push more and more of data. 3. So while Smartphone gathers numbers in the low end – it is the larger screen size devices (3.5″ – 4.0″ – 5″ – 7″- 9.7″) which will posssibly drive higher data consumption. 4. The customer at the economy end of connected devices ($50-$100) tends to use his device as a media machine – again for the $50-70 price – a tablet provides greater value than a 2.8″-3.5″ smartphone given the profusion of pirated content. 6. For the Phablet space – this is a sub-category branching out into becoming a category by itself – but its numbers will take some building up – and the pricing still is $200 & above. 8. Traditionally because of the higher screen size the engagement time on tablets has been higher than the smartphones as well. Interestingly enough, in mature economies, Tablets have found yet another niche. Tablets are increasingly being used shopping activities.Adobe found that 13.5% of all online sales were transacted via tablets during the recent holiday season. Furthermore, as of January 2012, researchers found that consumers using tablets spent 54 percent more time per online order than their counterparts on smartphones, and 19 percent more than desktop/laptop users. Thus the key take away from the Adobe report is this – tablets and smartphones are two different animals. Based on consumer use cases, one does not replace the other because mobile device owners are using tablets and smartphones to accomplish different tasks. This has implications on the way e-commerce companies as well as media companies and online content distributors would play up to serve the user. So this really gets into single device – multi use cases scenarios – all of is still building. Thus i come back to my initial point – Marketers who are apprehensive of the scale and scope of tablets and are unable to fix “proper” answers to tablets, need to understand, there is no single answer… and the answers too are evolving at a fast clip! The risk that they run in trying to perfect the business cases and create understanding is that they could be left out of the markets. Proposition here is possibly not a case of inspiration but of evolution! What could be India’s next Killer app on Internet? Internet was introduced to India in 1998 and over the last 14 years, Internet penetration has increased to 121 million (10.2% of India’s Population). India already is the 3rd largest country in terms of numbers of Internet users globally. The convenience of train travel booking through the IRCTC website is seen as a significant catalyst to the growth of Internet penetration across India (Smaller towns, Rural areas included) and the grand old-dad of e-commerce in India. India, which is a conservative society in terms of Credit card spends, has never shied away from spending for Railway tickets online. Thus IRCTC is in effect India’s first killer Internet App. 1. Vernacular Internet – With the Indic scripts and other language technologies coming to the maturity threshold, Internet in India would follow a vernacular path to massification. 3. Financial Inclusion – The government currently is working on a Direct Cash Transfer Scheme (DCTS) as a part of the MGNREGS ( Mahatma Gandhi National Rural Employment Guarantee Scheme) – financial inclusion which would reach the population at the bottommost layers of the social and economic hierarchy. Alongside there would be others such as Payments, Banking, Money transfer etc. To me, these three aspects (Vernacular medium, Aadhar UID project and DCTS under MNREGS) coming together would form India’s next Killer App – which will enhance penetration across social levels, geographics and economical classes opf people. The Internet was the information super highway when it was designed. Connecting people to this super highway would be India’s next killer Internet App. 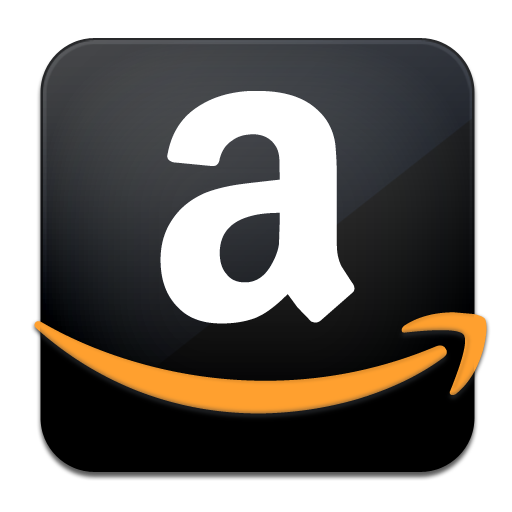 Amazon killed it … or very nearly did. Amazon’s device and service announcements in the 6th September event have just gone to show Amazon a few notches above Google, Nokia and Microsoft put together. Post the launch of Kindle Fire tablets last year and a record sales in the holiday season, Amazon spent a lot of time understanding their customers and how the customers use digital media. In the course they have managed subverting the long held notions of device pricing – and managing the margins without any device contributions. After all, when you make your money through services, device margins are obliterated. That is going to put a awful lot of pressure on the earlier generation of device makers – Samsung, Nokia, HTC and the works. What that means is that Amazon is willing to make the Kindle and the Kindle Fire a loss leader to lure shoppers inside its virtual store. This principle is where disruption @ Amazon begins. People don’t want gadgets anymore; they want services, and the new ranges of Amazon devices have a clear perspective- to provide a dedicated sales channel for Amazon’s digital storefront with an end-to-end set of services. By taking off the device bit, Amazon signals that it is ecosystems not devices that will drive consumer purchases. As Bezos puts it- “We want to make money when people use our devices, not when they buy our devices.” When business isn’t built on HW margins, the larger ecosystem and services you can do a lot of things competitors can’t – that’s an innovation principle that Apple and Amazon would hold as the key. Amazon is stepping up ecosystem efforts but is focussing on its own features, services. Third-party apps still seem like an afterthought. Similar is principle to the Apple “Walled Garden”. Given Apple’s iOS app selection & large ecosystem of it’s own, I don’t think iPad is under major threat. But Apple cannot afford to be complacent. The 6th September event was an act of declaration of war and the whole eco-system and market just got a whole lot more interesting in the course rebuilding the DNA of Amazon. The only other company who is thinking of business in the manner that Jeff Bezos is thinking about it, is Apple! As per Bezos – “We have our own patents, our own hardware, can afford to subsidize, and we’re going after Apple”. That’s setting the perspective. One of my earlier post deals with the e-commerce industry in India at this point of time. This series of posts will examine the rise of India’s digital consumer. There are 124 million Internet users in India today, a growth of 41% Y-o-Y, out of which, 20 million users are through smartphones and tablet computers. Acccording to eBay, this number is expected to grow 100% over the next one year with the number of such devices growing everyday. comScore also reports India to be the fastest growing online market amongst the BRIC countries and India’s explosive online growth story will continue because, most online categories in India currently show below average penetration compared to global averages. With 124 million internet users, India is at a 10% level internet penetration. In correspondence to the rapid growth of Internet in India, Forrester estimates eCommerce revenue in India to increase from $1.6 billion in 2012 to $8.8 billion by 2016 accelerated by the increasing penetration of internet on mobile and social media. Now heres the dope- for a country which is supposed to be technology phobic or plainly donot have access to technology because of the economics, Over 94% of the evolved internet shoppers surf internet, 87% of the users compare product prices online and 68% of them have made online purchase using their smartphones and mobile devices. mobile phones is catching up fast in non-urban and rural areas and the ratio between rural and urban buyers would be 1:10 right now but it may go up to 6:10 over next two years. Consumer Internet shopping habit is now forming quickly with most of these users using their mobiles as a window to transact ‘anytime and anywhere’.